After several hours of working overtime, I saw this teaser posted on the Facebook page of Cherry Mobile. I didn’t bother decoding “the code” as they’ve called it, but as I was about to take a nap, a special delivery arrived in our doorstep. I asked myself, “Is this related to the teaser I’ve just seen earlier?” We’ll know in a short while. 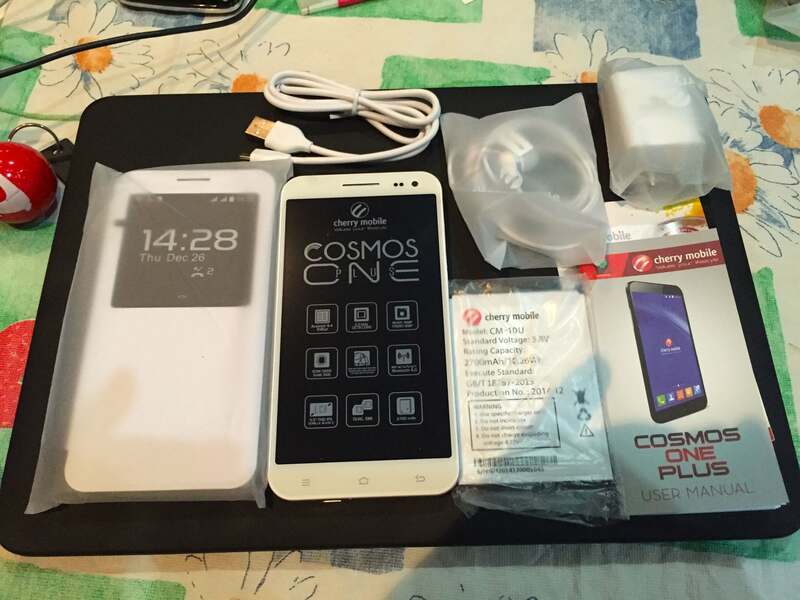 Cherry Mobile sent me an upgraded version of the Cosmos One. I was able to review the Cosmos One (unfortunately didn’t have the time to publish it) last year and I thought it was a terrific Octa-Core powered smartphone with 1GB of RAM and a decent camera. 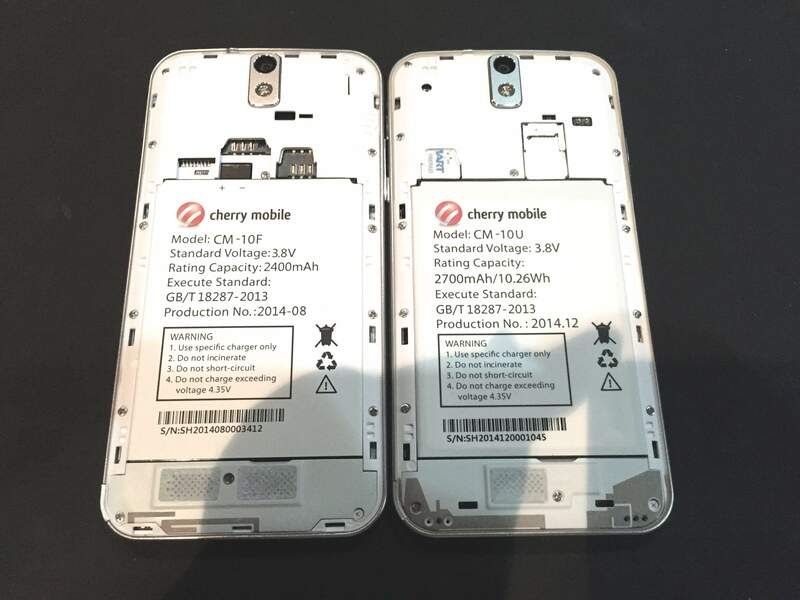 Knowing Cherry Mobile, their upgrades are usually minor, like a slight boost in processor speed, bigger memory or higher megapixel count. 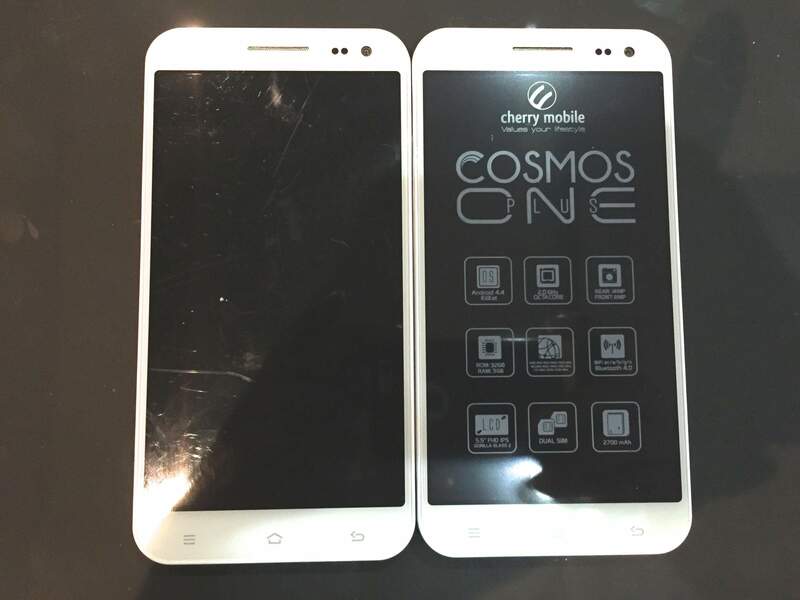 But when I checked the specs of the Cherry Mobile Cosmos One Plus, my jaw dropped on the floor. The stuff that came with the Cherry Mobile Cosmos One Plus were the USB cable, USB Charger Head, In-Ear Earphones, battery, manuals and flip cover. 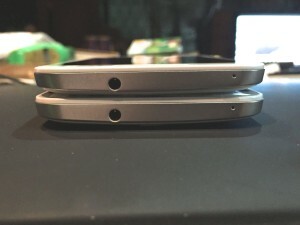 The flip cover can be attached to the back of the Cosmos One Plus and can be easily detached if you just like to use the phone bare. 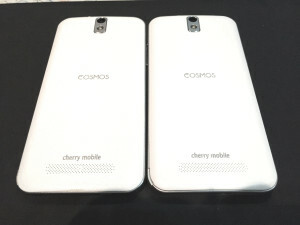 The front of the 2 Cosmos One phones are identical. 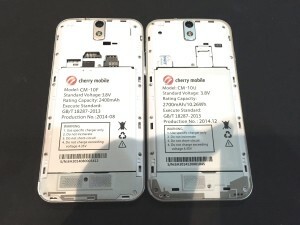 And so are the bottom areas of the phones where the MicroUSB ports are found. 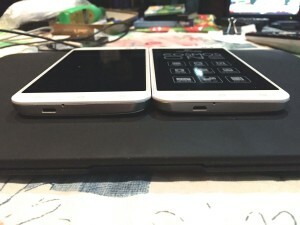 Both Cosmos Ones have the camera and power buttons. 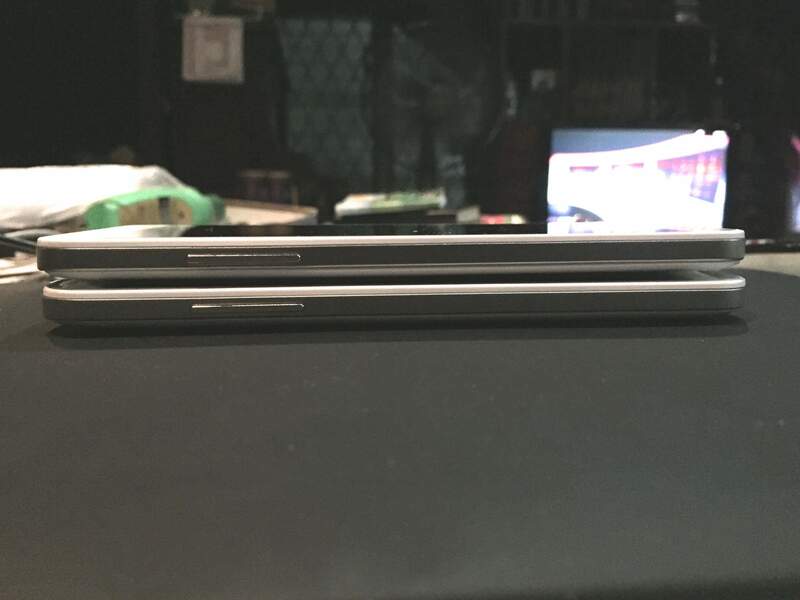 The left side of the Cosmos One and One Plus both have the volume controls. 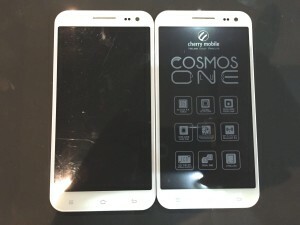 Can you tell which among these 2 is the Cosmos One Plus? Here’s one way to find out which among the two is the newer model. 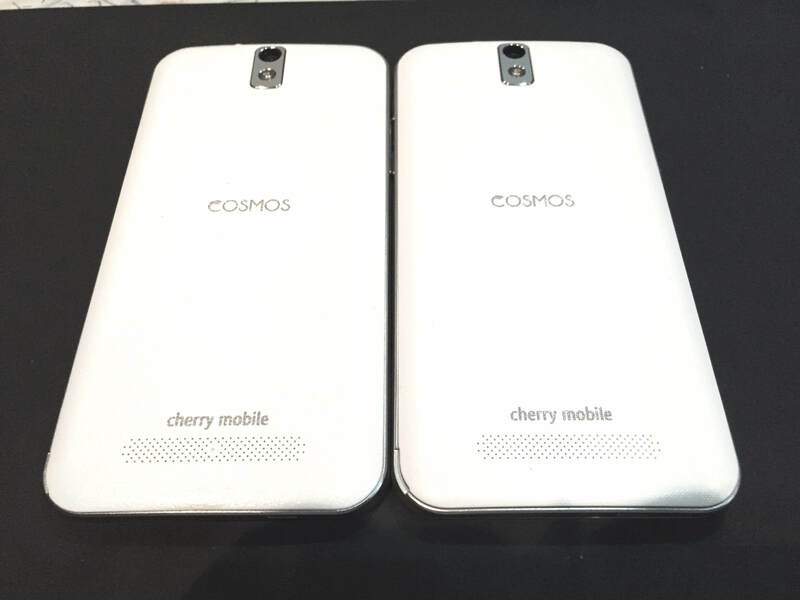 The Cosmos One has a faux leather back cover while the Cosmos One Plus has the same texture albeit with a different pattern. It’s quite noticeable without squinting your eyes. Both of them are made of plastic so it doesn’t really matter. 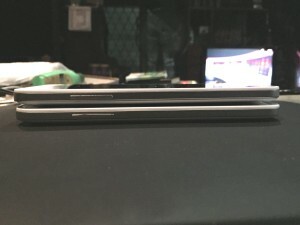 Another way is to remove the back covers of the Cosmos One and One Plus. 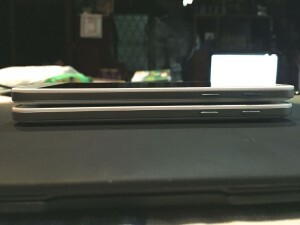 On the left, the Cosmos One supports a regular SIM card and a Micro SIM Card. 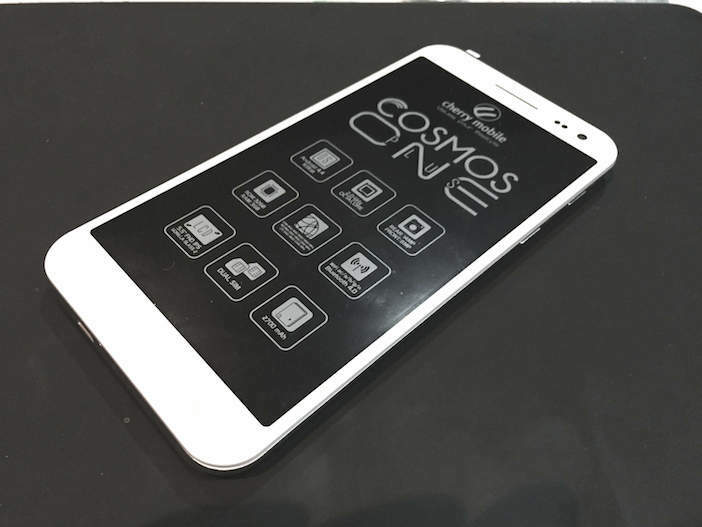 The Cosmos One Plus supports two Micro SIM Cards. 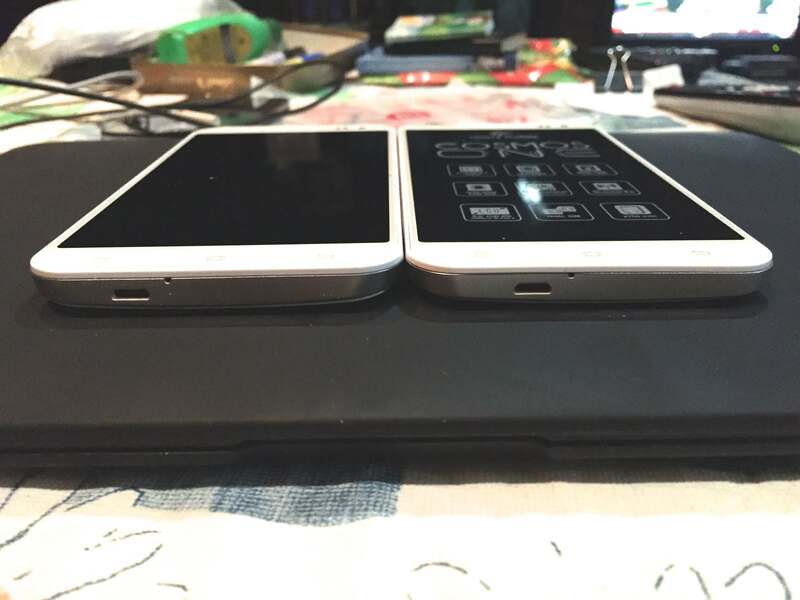 The battery capacity of the 2 phones are different as well with the Cosmos One Plus having 300 mAh more than the Cosmos One. Okay, that was freakin’ fast!! 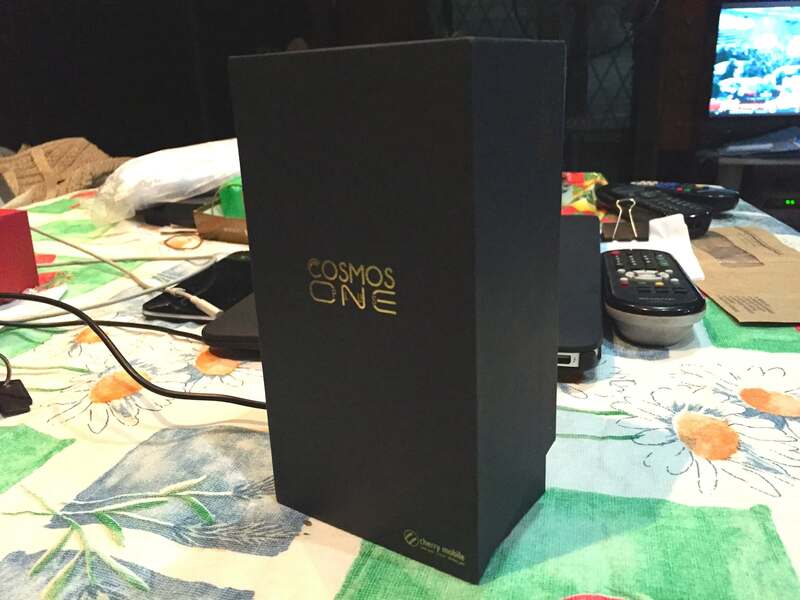 It’s almost fast as the Samsung Galaxy Note 4, which by the way almost has the same specs of the Cosmos One Plus! Man, these results gave me some goosebumps. 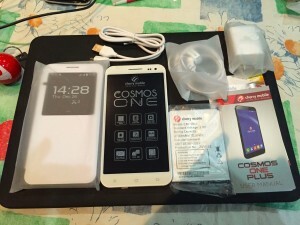 I’ll be installing several apps and games to further test the capabilities of the Cosmos One Plus for my full review. 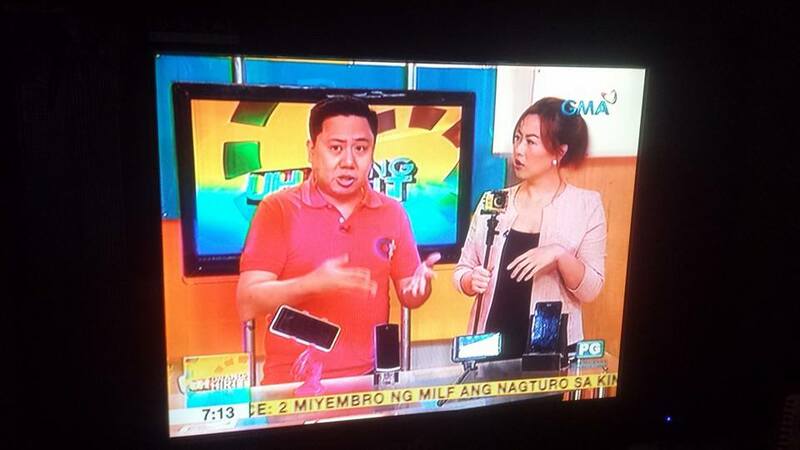 The Starmobile Knight X was the first local branded smartphone with 3GB of RAM to be announced last November of 2014, but Cherry Mobile will not be left behind now that the Cosmos One Plus is about to become available. SO WHAT DOES 64 MEAN? 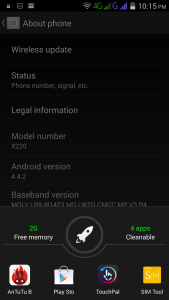 Back to the teaser code, we can safely assume that 8C means Octa-Core and 4G means LTE connectivity. 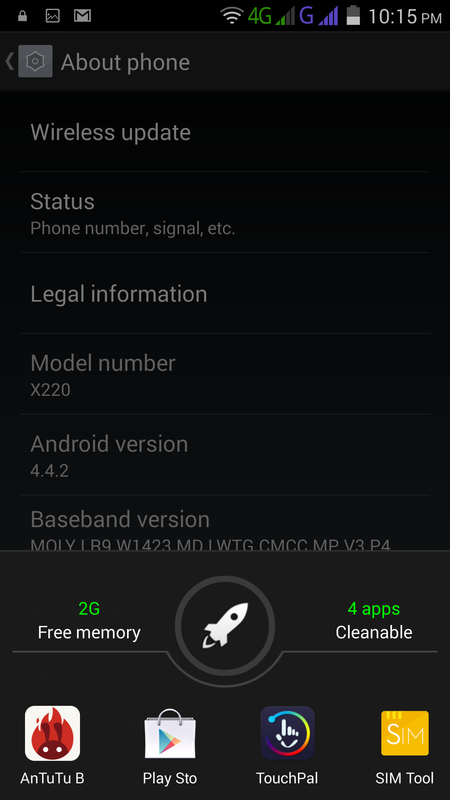 Does 64 mean storage expandability with a memory card up to 64GB? 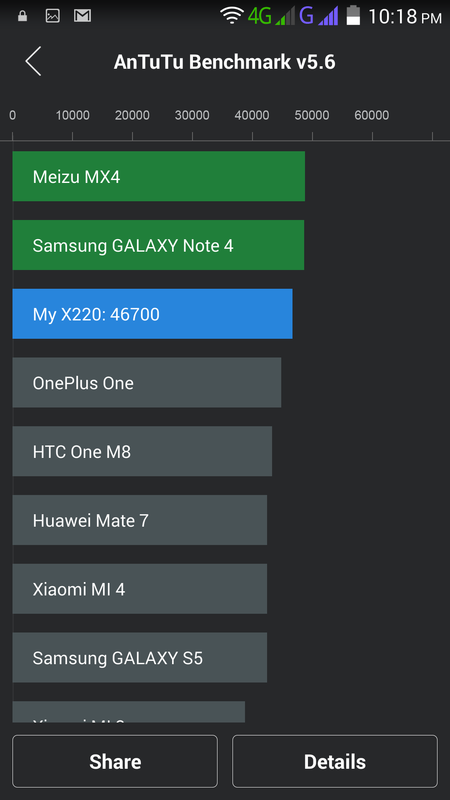 The Cosmos One Plus does support it, but I think it’s more than that. 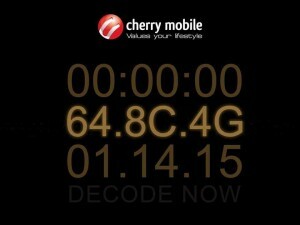 The upcoming trend for 2015 is the arrival of 64-bit chip smartphones. The iPhone 6 and iPhone 6 Plus already have them, so I’m very sure that their Android counterparts will follow suit. 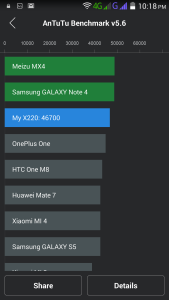 The next question is, does the processor of the Cosmos One Plus support 64-bit? According to MTK, the MT6595 chipset only supports 32-bit.